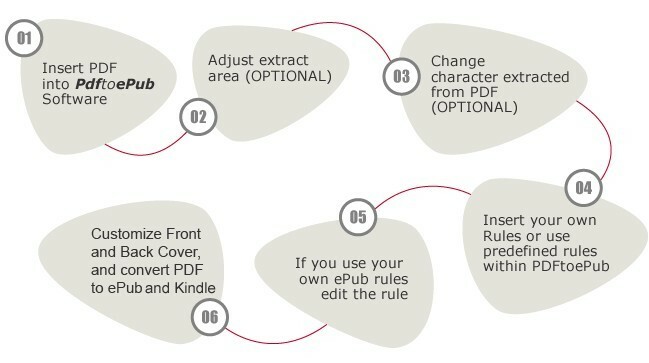 EPUB format is an open XML-based format which is designed for reflowable content that can be optimized for the whatever size screen your eReader has, and with whatever font size you choose to read at. It is more readable for mobile devices like iPad, iPhone, iPod Touch, Amazon Kindle, Sony Reader or other eBook Readers. PDF to ePub converter is a light-weight and easy-to-use pdf to epub converter, which is developed for meet users’ need of create EPUB files from PDF documents for reading on portable device iPad, iPhone, iPod Touch and other ebook reader and mobile phone. The program is easy to use and comes with a user friendly interface with “Step by Step” Wizard that allows you to convert PDF to ePub simply with a few clicks. PDF to EPUB is priced at US$39.95, now everyone has the chance to get it for free. As the Authors are giving away free Serial number/activation key for this simple to use wizard based PDF to EPUB converter. This offer is for the full retail version of PDF to EPUB with no limitations. And the giveaway is limited to the first 20,000 registrations only. 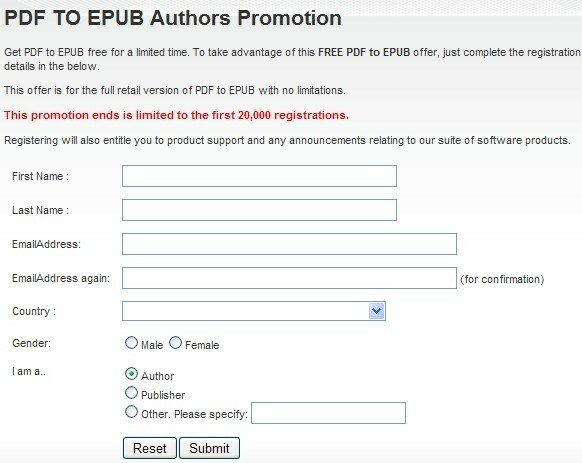 To take advantage of this FREE PDF to EPUB offer, just go to the PDF TO EPUB Authors Promotion giveaway page and complete the registration details in the below. 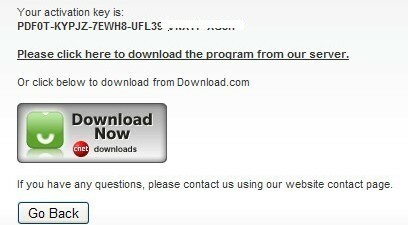 You will get your free PDF TO EPUB Serial Number/ Activation Key along with download link in next page as well as in your email inbox .